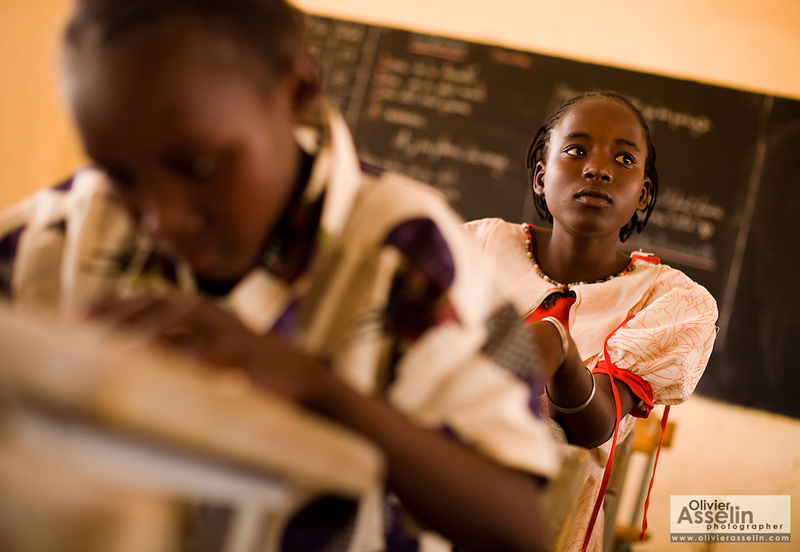 Adjatou Traoré, 13, attends class at the Petit Paris primary school in the town of Dori, 240 km northeast of Burkina Faso's capital Ouagadougou on Monday May 11, 2009. When she was 12, Adjatou's mother attempted to sell her to a Ghanaian man who was trying to find his son a wife. She refused the marry the man. "Early marriage is not a good thing," she says, "because a child should never have to give up school."